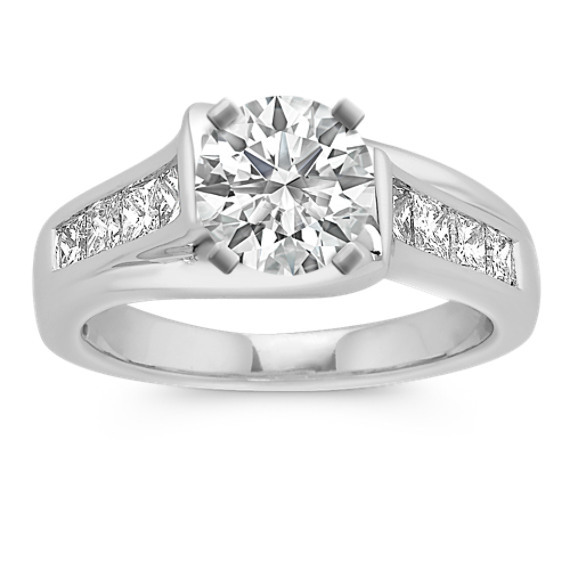 Cathedral Princess Cut Engagement Ring with Channel-Setting | Shane Co. This beautiful cathedral engagement ring features eight channel-set princess cut diamonds at approximately .70 carat total weight. The stunning design is made of quality 14 karat white gold. Each diamond has been hand selected for sparkle and brilliance. Gemstone Carat Weight :3/4 ct. t.w.